Hannah Rae Peterson is a painter born in Hong Kong, China, a land whose artistic tradition reaches back into antiquity. She spent most of her childhood among the cultural remains of the Hittite, Greek, Roman, Byzantine and Ottoman Empires – in what is now Turkey – and then moved to the capitol of the United States to earn a Bachelor of Arts degree from George Mason University. Living in three countries rich with philosophical, artistic, and scientific legacies left Rae without a geographical location to call “home”, but provided her with a unique base from which to approach her painting. 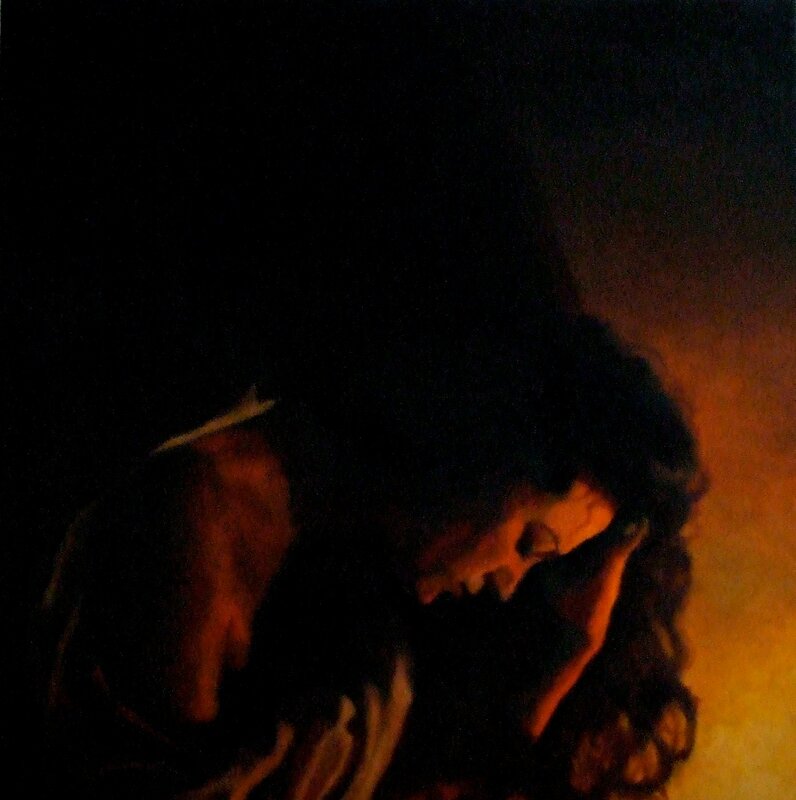 Her technique includes soft color blending directly on the canvas, which creates subtle nuances in color and texture. The dramatic visual statements achievable with the opposition of complimentary colors and light and dark show up often in Rae’s work. Her primary medium is oil paint – ideal for describing rich color – yet she also enjoys watercolor with its organic, whimsical qualities. She strives neither for photo-realistic nor nonrepresentational depiction, preferring to present her subject matter in a way that is partially abstracted from what one perceives in the natural world. Rae engages purposefully with concerns that are specifically female. 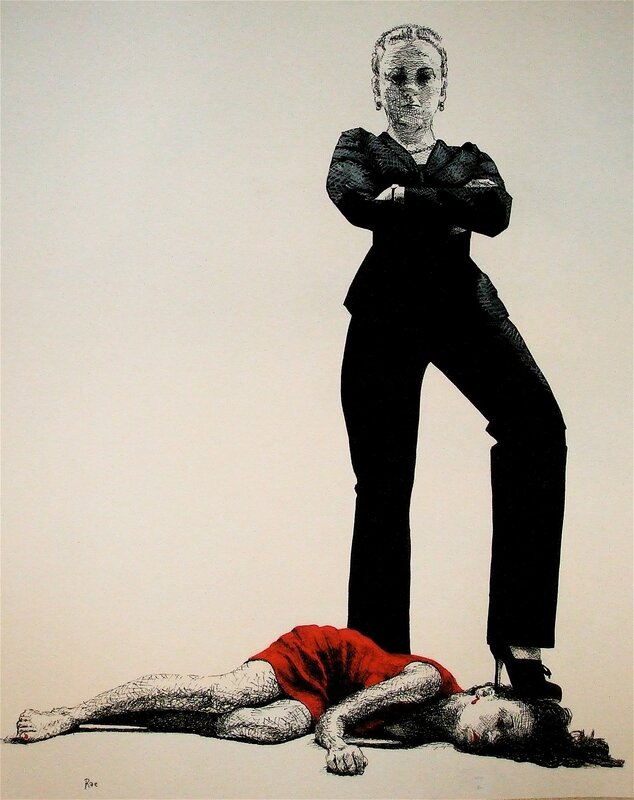 In the year 2009, deFeminized, a double self-portrait exploring facets of femininity through the juxtaposition of a woman in a power suit stepping on the head of a woman in a red dress, was featured in the show Reve(A)ling Feminist Art. For her thesis, she painted portraits based on the lives of resilient women from the past and the present. Getting to know them through their stories in literature or through personal acquaintance, she collaborated to create a visual representation of their character. 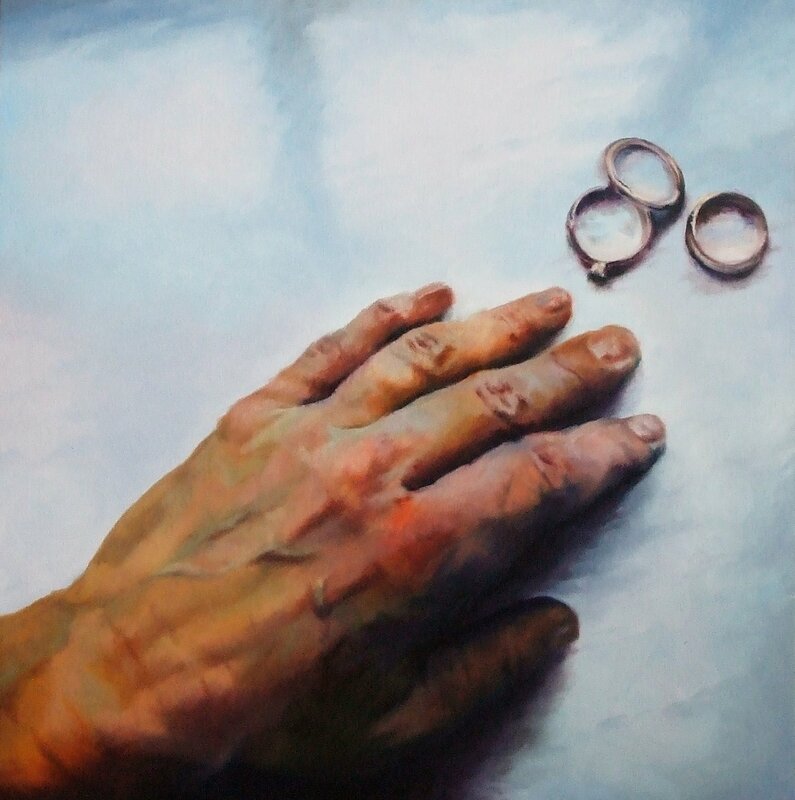 Narrative, and the captivating dynamic between textual and visual stimuli, have consistently attracted Rae’s attention. She hearkens back to the practice of illuminating text, and especially children’s books, for inspiration.